The landmark partnership will help move Thailand towards the ‘New Experience Economy’, benefiting consumers and individual service providers, the company said in the release. 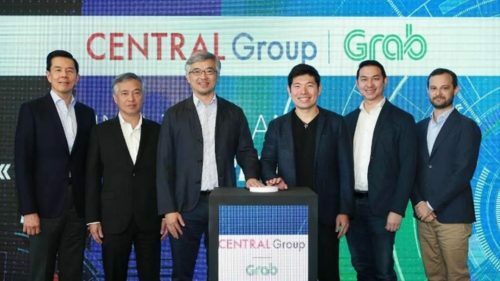 Central Group is Thailand’s largest omnichannel retail conglomerate and Grab Holdings (Grab), is Southeast Asia’s leading online-to-offline mobile platform. Central Group Executive Chairman and CEO, Tos Chirathivat commented, “We are pleased to announce our strategic partnership with Grab Holdings Inc, by investing US$200 million in Grab and acquiring a significant non-controlling stake in Grab Thailand. “Grab is a fast growing online-to-offline (O2O) platform which has scaled up impressively in Southeast Asia. Grab, like Central Group, is now an essential part of everyday life for many Thai people. We look forward to collaborating together to revolutionise the retail and service industry, a strategic key driver for the country’s growing economic success. Grab Group CEO and co-founder, Anthony Tan said: “This investment brings together Central, the local retail champion, and Grab, the local technology champion, in a deep partnership that reflects our commitment to Thailand and all Thai people as we strive to create jobs and economic prosperity through our platform. Central Group President, Yol Phokasub said: “This alliance will help enlarge Central Group Economy. Central is focused on becoming the leading digital-lifestyle platform in Thailand, part of our New Central, New Economy vision.